1958. In a dorm room in Moscow, a young writer is woken by the sound of angry voices on the radio. Through the fog of a hangover he hears the news that a novel called Doctor Zhivago has earned its author the Nobel Prize. There is uproar. The author, Boris Pasternak, faces exile, the press hound him and demand that he refuse the award. A few days earlier the young writer found a copy of this book - could those simple pages really be so dangerous? Based on Ismail Kadare’s own experience, Twilight of the Eastern Gods is a portrait of a city, a story of youthful disenchantment and a reminder of the incredible importance of the written word. 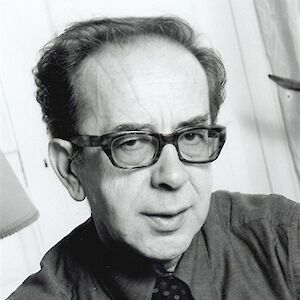 Born in 1936, Ismail Kadare is Albania’s best-known poet and novelist. Translations of his novels have appeared in more than forty countries. In 2005 he was awarded the first Man Booker International Prize for ‘a body of work written by an author who has had a truly global impact’. He is the recipient of the highly prestigious 2009 Principe de Asturias de las Letras in Spain. David Bellos is director of the Program in Translation at Princeton University and the author of Is That A Fish in Your Ear? The Amazing Adventure of Translation. He won the French-American Foundation’s Translation Prize for his version of Georges Perec’s Life A User’s Manual, and the Goncourt Prize for Biography for Georges Perec. A Life in Words. He has translated seven of Ismail Kadare’s novels as well as works by Romain Gary, Georges Simenon, Daniel Anselme and Georges Perec.